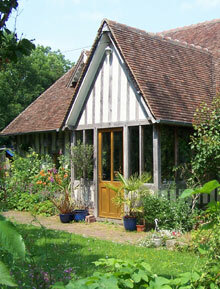 My name is Patrick Owen and I have been involved in woodworking for about 25 years. 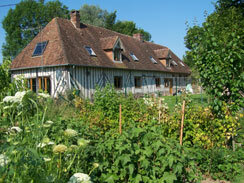 For a lot of that time my wife Judith and I were living in Normandy, France where we painstakingly re-built an abandoned timber-framed cider press and gradually transformed it into a very attractive family house for ourselves and son Robert, now 13. That was a dream job for a lover of wood, but whereas now I am more often involved with small details and fine veneers, it was working at the other end of the scale, making huge roof trusses with massive oak beams! At present we are back in England, allowing me to concentrate fully on developing Furniture Follies, and we are working to expand the range of designs that we can offer. Until recently the modern sky-scraper has proved to be a difficult proposition, however I am now developing new techniques of working which will make it possible for us to produce some fabulous fairly large scale models of a few of these incredible icons of the modern age - watch this space! France and in Poland where there is a tradition of fine woodworking skills.